This week Blank Check begins a new mini series reviewing the filmography of director Brad Bird with a discussion of 1999’s critically acclaimed animated feature, The Iron Giant. But does the Iron Giant wear a shirt? Did the studio request this movie be set in present day and have a hip hop soundtrack? Should Griffin and David fight more? Together, in their worst episode ever, they examine Brad Bird’s origin story, the hotness of Harry Connick Jr. as beatnik industrial artist Dean McCoppin, the upcoming Blank Check Pictures slate and booger stores. Richard Lawson returns to discuss the late-Burton effort: 2014's Big Eyes. But why are the eyes so big? Should Christoph Waltz be the star of his own network TV sitcom? How did Burton pull off making the focus of this movie about the main character's abuser? Together they examine the eyes (which are big), Margaret Keane's history and Alita: Battle Angel (which is also known as Big Eyes 2.) This episode is sponsored by [Hims](https://www.forhims.com/check), [Talkspace](http://talkspace.com/) CODE: CHECK and [Away](https://www.awaytravel.com/check) CODE: CHECK.Plus, check out past (and future) guests Richard and Joanna Robinson's podcast [Still Watching: Game of Thrones](https://itunes.apple.com/us/podcast/still-watching-game-of-thrones/id1328561705?mt=2).Get Richard's book [All We Can Do Is Wait](https://www.penguinrandomhouse.com/books/546024/all-we-can-do-is-wait-by-richard-lawson/9780448494128/)! This week on Blank Check, comedian Jamie Loftus [The Bechdel Cast](https://www.bechdelcast.com/) discusses 2012's goth soap opera, Dark Shadows. But has Timmy "the boy from Burbank" Burton become the hill man in his later years? Where is Sullyville located in America? Why does the climatic fight scene only further reinforce ones disliking of Depp? Together they examine Jamie's history with the original series, Hot Topic's influence, the problem with Deadpool being someone's favorite comedian and Alfred Molina we stan. This episode is sponsored by [Stamps.com](http://stamps.com), [Robinhood](http://check.robinhood.com) and [Talkspace](https://talkspace.com/check) CODE: CHECK. Griffin and David welcome back Todd VanDerWerff ([Vox](https://www.vox.com/authors/todd-vanderwerff)) to discuss 2010's CGI fantasy Alice in Wonderland! Together they examine Burton's greatest failure. This episode is sponsored by [MUBI](https://mubi.com/check), [Hello Fresh](https://www.hellofresh.com/check80) CODE: CHECK80 and [Noom](http://noom.com/check). Tony award winning actor, Michael Cerveris, joins Griffin and David to discuss 2007's film adaption of the renowned Stephen Sondheim musical, Sweeney Todd: The Demon Barber of Fleet Street. Why did Tim Burton cut The Ballad of Sweeney Todd? Does Michael have a take on National Treasure: Book of Secrets? Timothy Spall goes big? Together they examine how the film holds up against the live production, the trailer lacking singing, letter writing with Sondheim and Michael's experience portraying Sweeney Todd in the 2005 Broadway revival. This episode is sponsored by [Brooklinen](https://brooklinen.com) CODE: CHECK, [care/of](http://takecareof.com/) CODE: CHECK50 and [Molekule](https://molekule.com/) CODE: CHECK.And check out Michael Cerveris' band, [Loose Cattle](http://www.loosecattleband.com/)! Writer, Pilot Viruet returns to Blank Check to discuss 2005's remake, Charlie and the Chocolate Factory. But, at one point, were Al Pacino and Robert De Niro considering doing a Willy Wonka picture? What are the gang's Peter Farrelly rankings? What do you call a doctor’s jacket? Together they examine the four grandparents in bed, the trained squirrels and more! This episode is sponsored by [hims](https://www.forhims.com/blank), [Talkspace](http://talkspace.com/) CODE: CHECK and [MUBI](https://mubi.com/check). Chris Gethard [Beautiful/Anonymous podcast](https://www.earwolf.com/show/beautiful-anonymous/) returns to Blank Check to discuss 2003's father and son fantasy, Big Fish. And also, to talk about Star Wars some more. But does Big Fish's ending pay out like a slot machine? Was 2003 the year Steven Spielberg and Tim Burton culturally flip-flopped? What are some of the nerd perks offered at the new Star Wars hotels? Together, they spend 2+ hours examining the performances of the cast including Albert Finney and Billy Crudup, motorcycle cages, which vignette to cut out of this movie, and of course Mr. Soggybottom. This episode is sponsored by [Robinhood](http://check.robinhood.com), [eero](https://eero.com/check) CODE: CHECK and [Filmspotting podcast](https://www.filmspotting.net/).Plus, be sure to grab copy of Chris Gethard's new book, [Lose Well](https://chrisgeth.com/lose-well/)! Film critic, Matt Singer ([ScreenCrush.com](https://screencrush.com/)), joins Griffin and David to discuss 2001's universally maligned franchise reboot, Planet of the Apes. Together they examine Burton's missteps, Wahlberg's distain for being in this movie, the legacy of the original series and the devastation of a young Griffin Newman. This episode is sponsored by [Stamps.com](https://stamps.com) CODE: CHECK, [MUBI](https://mubi.com/check) and [The /Filmcast podcast](https://www.slashfilm.com/category/features/slashfilmcast/). Writer and director, David Lowery (The Old Man & the Gun, A Ghost Story) joins Griffin and David to discuss 1999's procedural horror, Sleepy Hollow. But when we die does the headless horseman come for us? Who are the cheek bone boys? Was Taylor Hicks a ten percenter? Together they examine the work of Emmanuel Lubezki, babies with mustaches, CGI deer and the crypt keeper. This episode is sponsored by [MUBI](https://mubi.com/check), [Joybird](https://joybird.com/blank) CODE: BLANK and [Brooklinen](https://brooklinen.com) CODE: CHECK. Griffin and David welcome back Joe Reid for the 4th annual Blankie Awards where together they present their own personal nominations and winners for the upcoming 91st Academy Awards. This roundtable discussion looks at all the major categories, as well as, references deep cut cinema from 2018 you may have missed. This episode is sponsored by [hims](http://forhims.com/check), [Talkspace](https://www.talkspace.com/check) CODE: CHECK and [Away](http://awaytravel.com/check) CODE: CHECK. John Hodgman [Judge John Hodgman podcast](https://www.maximumfun.org/shows/judge-john-hodgman) joins Griffin and David to discuss 1994's celebration of Hollywood's greatest outcast, Ed Wood. Was this Burton's finest film? What is the history of Bela Lugosi and Boris Karloff careers portraying monsters? Is 'octopus motor' the greatest two words put together? Together they examine the legacy of director Ed Wood, attending one of the Property Brother's weddings, crumb bums, and Space: 1999. [Vacationland: True Stories from Painful Beaches](https://www.penguinrandomhouse.com/books/557020/vacationland-by-john-hodgman/9780735224827/) is now available in paperback. On the week of it’s release in January of 2019, Griffin and David discussed M. Night Shyamalan’s latest offering, Glass. But did the hosts find this film to be a “glassterpiece”? What is Papa executive privilege time? If you had to guess what would you say Samuel L. Jackson’s age would be? Together they try to make sense of why M. Night wanted to tell this particular story, recent Bruce Willis straight to Redbox movies and get retrospective on their two hundredth episode! Plus, a special supercut of Blankies reading Producer Ben’s many, many nicknames. 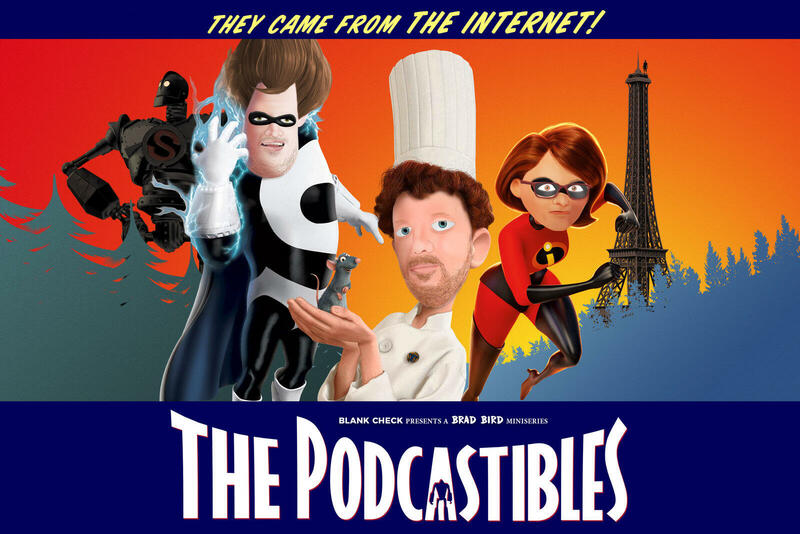 This episode is sponsored by [Hims](https://www.forhims.com/blank) and [TalkSpace](https://talkspace.com/check) CODE: CHECK.And check out brand new Blank Check merch at [TeePublic](https://www.teepublic.com/stores/blank-check)! This week on Blank Check Julio Torres (Saturday Night Live) discusses 1990’s proto-Tumblr Frankenstein remake fantasy, Edward Scissorhands. But is Cole Sprouse the young Johnny Depp of 2019? Should one aspire to create an esoteric Halloween costume with their movie? Why won't they leave the clowns alone? Together they examine the career of legendary costume designer Colleen Atwood, Winnie the Pooh’s acting and joke writing in Christopher Robin, gorgeous improv and constructs. This episode is sponsored by [Robinhood](http://check.robinhood.com). Blank Check continues it’s mini series covering the films of director Tim Burton with the genre defining 1989 superhero movie, Batman. What was this film's impact on the industry for years to come? What other actors were in the running to play the Joker? Should Bruce Wayne wear jeans and turtlenecks? Joined by K. Austin Collins (Vanity Fair) together they examine the performances of Jack Nicholson and Michael Keaton, the history of the iconic character's intellectual property in film and television, how Prince came to be involved in the project and so much more! 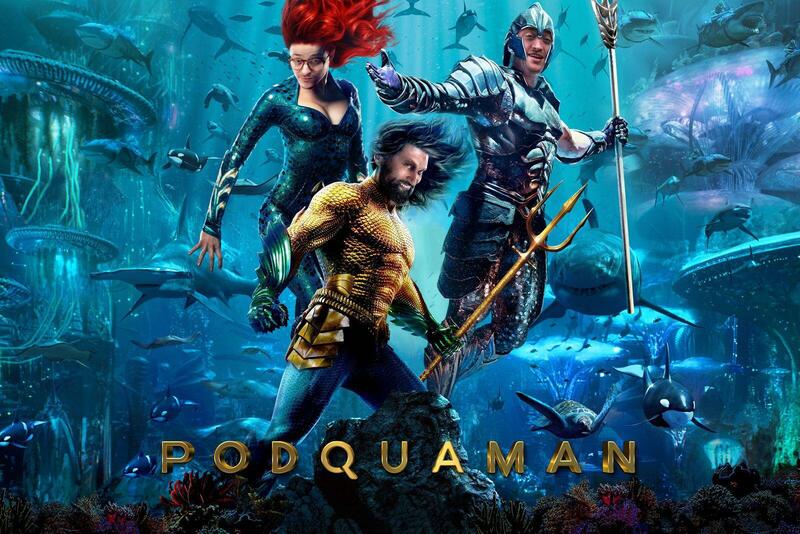 On the week of its release in December of 2018, Griffin and David discussed the latest offering in the DCEU: Aquaman. But how many Oscars did David throw at the screening? is Orm a name? Did Ben’s brain break? Together they examine director James Wan’s career, sea crime and the legacy of Aquaman over the years. 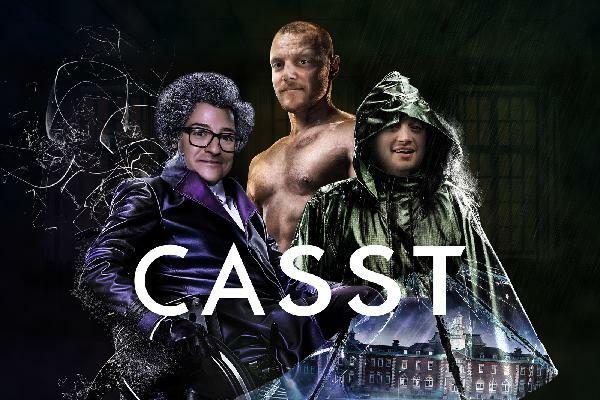 This episode is sponsored by [Robinhood](http://check.robinhood.com) and [The /Filmcast](http://slashfilmcast.com).And sign up for our [Patreon](https://www.patreon.com/blankcheck) to get access to exclusive monthly bonus content! Friend and host of [Classroom Crush podcast](https://www.classroomcrush.com/), Rebecca Bulnes, joins Griffin and David to discuss 1988's masterpiece, Beetlejuice! But was this film nearly called Scared Sheetless? Is this Alec Baldwin at his most handsome? Does Rebecca want to date Beetlejuice? Together they examine the careers of Geena Davis, Catherine O'Hara and Michael Keaton, growing up as a goth snake girl and the greatness of pre-CGI Burton special effects and practical design. This episode is sponsored by [Brooklinen](https://brooklinen.com/) CODE: CHECK and [Bombfell](https://www.bombfell.com/check).Plus, big announcement for 2019: Blank Check is launching a [Patreon](https://www.patreon.com/blankcheck)!AND check out Producer Ben Hosley on a recent episode of [Classroom Crush](https://www.classroomcrush.com/episodes/2018/12/12/cant-quit-cray-with-ben-hosley-season-2-premiere)! This week Griffin and David begin a new mini-series on the films of Tim Burton! 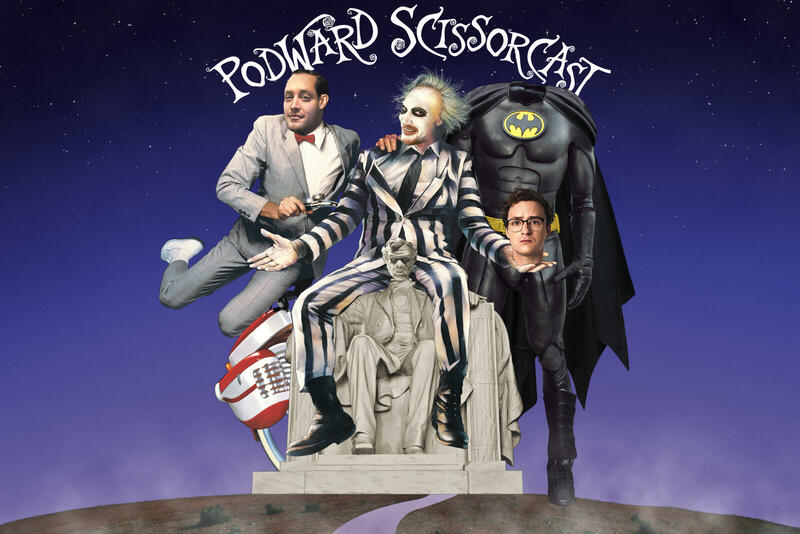 Together they discuss the origins of the character Pee-wee and Burton's background in animation and being a goth boy from Burbank, California. 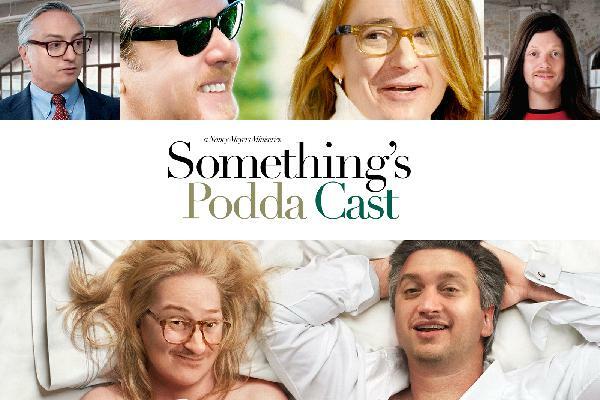 This episode is sponsored by: [Brooklinen](https://brooklinen.com) CODE: CHECK, [Talkspace](https://talkspace.com/check) and [We Hate Moves](http://www.whmpodcast.com/) podcast. 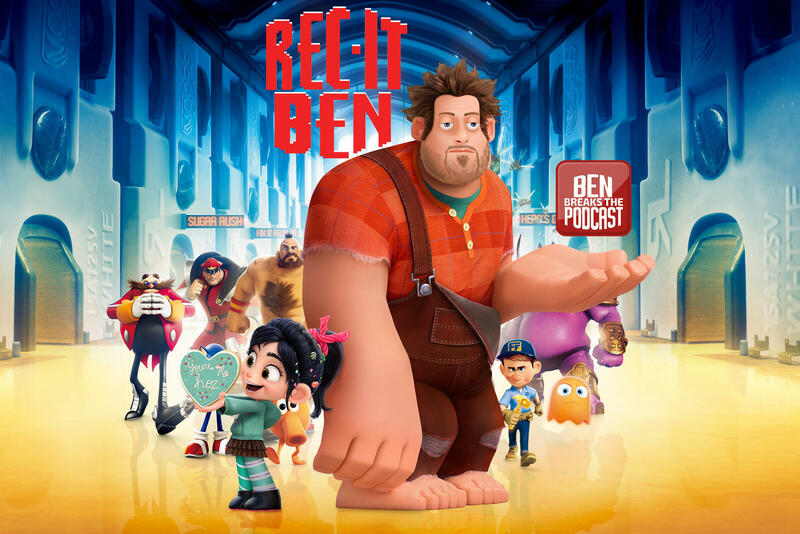 This week on Blank Check is a discussion of Wreck-it-Ralph and Ralph Breaks the Internet. Together, Griffin, David and Producer Ben examine the history of Disney Animation sequels, Chekhov’s Mentos, types of metals and the origins of Spies in Disguise. Plus, John Hodgman ([Vacationland](https://www.penguinrandomhouse.com/books/557020/vacationland-by-john-hodgman/9780735224827/)) leaves a voicemail! This episode is sponsored by [Brooklinen](https://www.brooklinen.com) CODE: CHECK and [Legacybox](http://legacybox.com/check).And check out new official Blank Check merch available at [TeePublic](https://www.teepublic.com/stores/blank-check)!